One thing I am a little nutty about, is, cleanliness. Now, my house may not always look super clean, or my truck, lol. But, it's usually just clutter. Mostly very organized clutter but clutter nonetheless. I can't stand sticky, gooey, spills, drops, food, dirt, grime of any kind whether it's on my hands, my kid's face or the counter. (Or anywhere!) So, I'm kind of an addict when it comes to cleaning products, especially wipes. I always grab cleaning wipes and baby wipes, oh and bathroom wipes. However, those don't do the job as good as I'd like them to when it comes to actual hands, faces, legs, elbows, even kid bellies. They may "clean" those spaces for the time being but as soon as I can get to a bathroom or kitchen sink, I have to rescrub with warm, soapy water. 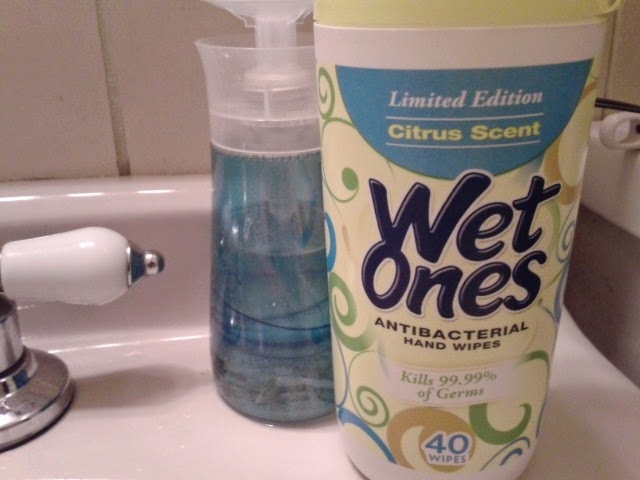 Everybody has heard of, Wet Ones by now, I believe. I know they have been around for quite some time and I have used them in the past, but I never really ran out to stock up or refill very often. It just wasn't something I really thought I actually needed so much. I just settled for using the baby wipes or harsh cleaning wipes that I already had lying around. One day, I received an email about a new Smiley360 mission with, Wet Ones. I thought, "Hmmm, this may turn out to be interesting. Besides, I'm actually kind of in the market for something like this." Since, I mean, everybody has messy times, whether there are little kids involved or not. I've spilled coffee on me while driving or just while drinking it and needed to rush to a bathroom when I arrived at my destination to not look like a slob!! Luckily, I was accepted in the mission and started reading about this brand I knew about for several years but unfortunately, never paid much attention too. I was pretty surprised to find out so many things I didn't know. I also didn't know that, Wet Ones has aloe! I do love aloe and I know that works well for my skin and is super good for my little kiddos' skin. He also loves trying all of the samples and things we receive, even lip balms. But that is about where he draws the line for beauty products! We received a stack of coupons to hand out. 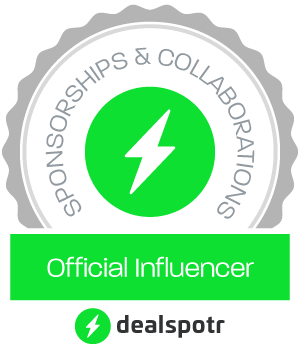 (High value coupons too! 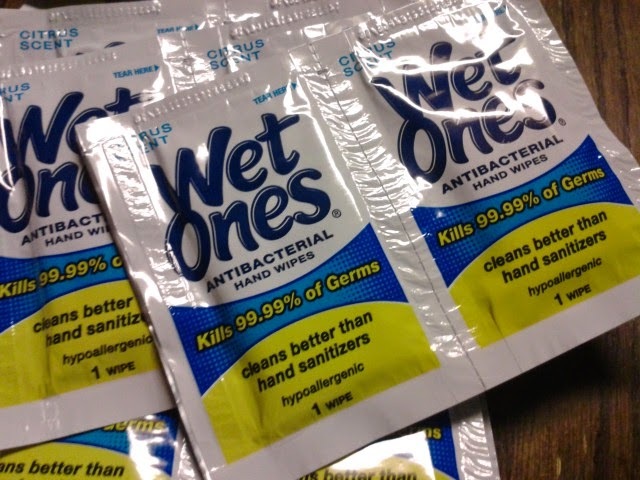 $1 off any 1 Wet Ones) We also received a canister of citrus scented Wet Ones, a travel pack and a box of single use Wet Ones. These individually wrapped antibacterial hand wipes are a great addition to a kid's care pack and fit perfectly in a little sandwich baggie, backpack, lunch box, pocket, wherever your child likes to pack their special little care package, these are seriously cool! That shocked me too. It actually smelled fresh and clean and very "citrusy". There wasn't a bad odor or any chemical kind of smells that you sometimes get with cleaning cloths. These just smelled, clean. I really am quite fond of the canisters! These are packaged so well and I love the pretty designs! I also am a fan of the reasonable prices and availability of sales! These work in any room of the house. I switched back and forth from the kitchen, to the bathroom, to the living room and back to the bathroom again. The kids have gotten used to using these often and they also like the fresh, fun scent of citrus. It just smells so much nicer than chemicals. I even sometimes find that "unscented" wipes still smell like something, I'm not sure what, but, I'm not liking it. Remember I said these have aloe?! Well, you can certainly tell they do because they actually keep your skin super soft and are very gentle. I especially have a hard time with my hands in the winter but I am fascinated with how much these actually help keep my hands soft. Using these for a quick, "handwashing" doesn't feel like I just stripped my skin of all of it's moisture and that makes me feel safe about using it for my kids too. What was once considered a "luxury" at our house, is now something I like to have around all the time. Even if we are near a sink, these are sometimes perfect for quick spot touches and even to sanitize since I don't always use anti bacterial soaps in the bathroom or kitchen. That's another thing! You don't have that stickiness after using these. You know, the kind that makes you want to run to the nearest place with running water and some sort of soap?? These really feel like you just used warm, sudsy water and there is no need to redo anything! Do you purchase/use, Wet Ones at your house? 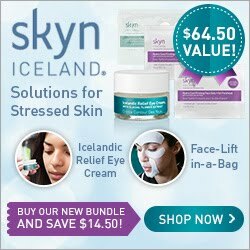 I would love to read comments about these products. I know we will be using them all the time now. Especially the individually wrapped wipes.